The new concrete park in Elgin officially opens on 4th April at 1pm. 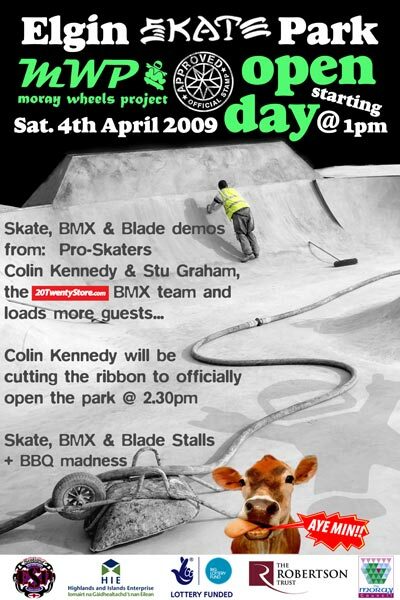 There will be skate, BMX and blading demos with Colin Kennedy cutting the ribbon at 2.30pm. Come along and join in the session! Check out the construction diary and photos for the Elgin park too.